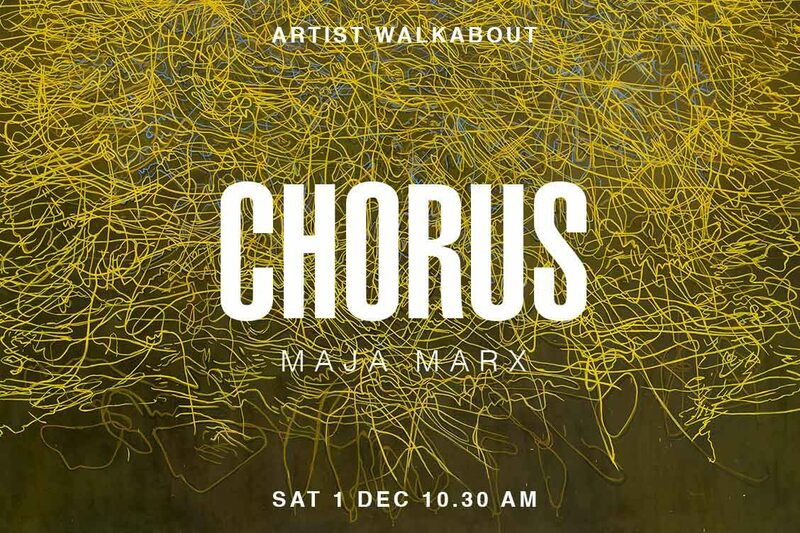 WHATIFTHEWORLD is pleased to invite you to Maja Marx’s artist walkabout at the gallery on Saturday, 1 December at 10.30. Marx will walk us through her current exhibition, Chorus, which hosts a number of abstract works. In this series, Marx literally ‘finds’ the lines and compositions from which her paintings originate as she moves around in her world. The scattering of planes within the flattened form of a trampled object, a cluster of lines in the undergrowth, a composition in the dust under foot; fleeting moments and discarded objects provide her with ‘found’ lines and ‘found’ compositions. These are documented and mapped onto her canvasses with exactitude and care.